Deep Purple, who have also announced a new studio album due in April 2013, will be digging through their past, reissuing 10 classic albums over the course of the new year. 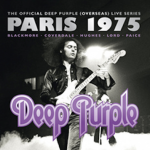 The reissues will be begin January 29th, when Live In Paris 1975 will be released as a double CD. The album has been digitally remixed and re-mastered from the original multi-track recordings. The show, recorded April 17th, 1975, at the Palais des Sports in Paris, was the band’s last concert with Ritchie Blackmore, who was leaving Deep Purple to form Rainbow. Blackmore would eventually return to the band, several years later, to record Perfect Strangers. However, the guitarist eventually left the band for good in 1993. Blackmore, vocalist David Coverdale, bassist/vocalist Glenn Hughes, keyboardist Jon Lord and drummer Ian Paice roared on classics like Burn, Stormbringer, Highway Star, Space Truckin’ and Smoke On The Water. 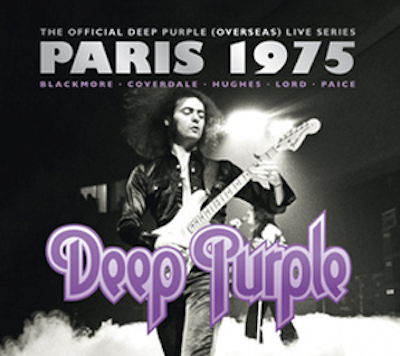 Deep Purple’s Live In Paris 1975 will be re-released through Eagle Rock Entertainment.